Dental implants can be an amazing treatment option, so how do you know if you’re the right candidate? To make the process easier for our patients, we’re offering a complimentary dental implant consultation so you can learn more about this service with no obligation or risk. Terms and conditions apply* Contact us today on 9246 1899. Are Dental Implants Right for You? 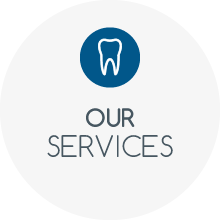 Meet with us for your free dental implant consultation and discuss your tooth replacement options. If you’ve experienced tooth loss, decay or disease that has left your smile less glamorous than it once was, you’re probably wondering what you can do about it. And while everyone’s smile is unique in its own right, dental implants often make incredible improvements that go beyond looks. Whether you’re missing one tooth or several, here are a few reasons to consider dental implants. 1. Implants can help prevent bone loss. The root of your tooth helps to keep your jawbone strong. When implants are placed, so is a deeply rooted anchor that acts as a replacement root. 2. Dental implants won’t move around. Unlike dentures, which can shift or slide around in the mouth if not properly secured, implants are securely placed into your jawbone. 3. They’ll help you chew better. When you have one or several missing teeth, it can be hard to chew your food properly. With implants, your smile can be restored allowing you to eat (and speak) better. 4. They improve appearance and restore confidence. 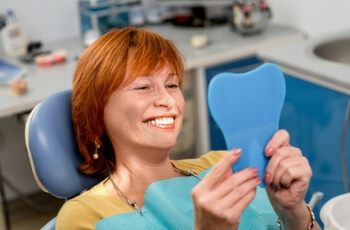 It’s hard to feel good about your smile when you’re missing or have severely cracked, dead teeth. 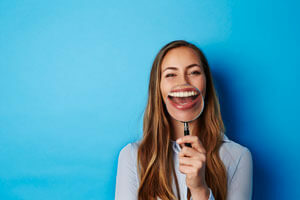 Implants can give you a reason to smile again. 5. They’re durable. Implants are crafted from a variety of materials, most of which are just as strong as your real teeth. As technology continues to improve, so do dental implants. Think dental implants may be in your future? Contact our practice to book a complimentary free consultation and determine which type of implant is best for your specific needs. *There may be recommendations for x-rays, photos, or other diagnostic records that need to be obtained before a fully informed opinion can be offered. These items may also attract a fee. All fees and charges will be fully explained during the initial free consultation and the consultation is a no obligations opinion only. Any surgical or invasive procedure carries risks. Before proceeding, you should seek a second opinion from an appropriately qualified health practitioner. Your email address will not be published. Required fields are marked *. march 2019 - Is Your Tongue a Funny Colour? Dentist Websites by Smile Marketing.